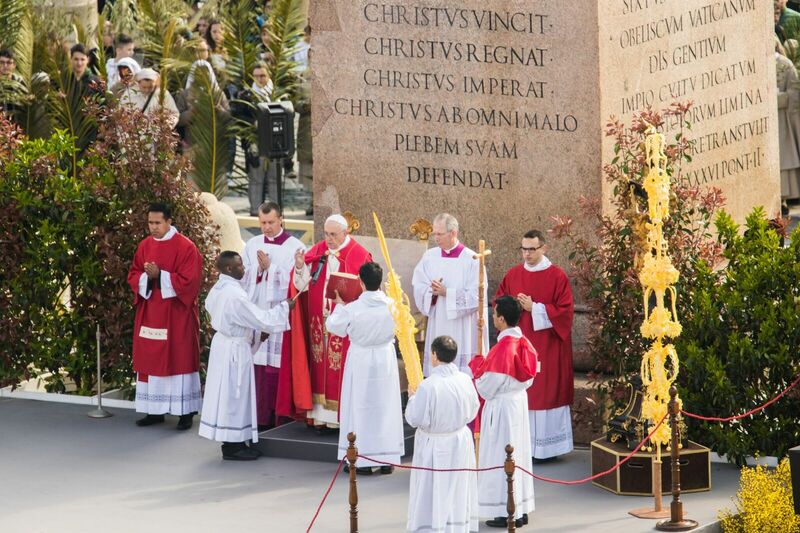 Pope Francis on April 14, 2019, celebrated Mass for Palm Sunday in St. Peter’s Square. An estimated 40,000 of the faithful joined in the service, which included the blessing of palms and reading of the Passion narrative from the Gospel of Luke. Let us enter into this movement, guided by the Holy Spirit, and thus obtain the grace we sought in our opening prayer: to follow in faith our Savior’s example of humility, to heed his lesson of patient suffering, and thus to merit a share in his victory over the spirit of evil. Triumphalism tries to make it to the goal by shortcuts and false compromises. It wants to jump onto the carriage of the winner. It lives off gestures and words that are not forged in the crucible of the cross; it grows by looking askance at others and constantly judging them inferior, wanting, failures… One subtle form of triumphalism is spiritual worldliness, which represents the greatest danger, the most treacherous temptation threatening the Church (De Lubac). Jesus destroyed triumphalism by his Passion. The first to follow him on that path was his mother, Mary, the first disciple. The Blessed Virgin and the saints had to suffer in walking the path of faith and obedience to God’s will. Responding with faith to the harsh and painful events of life entails “a particular heaviness of heart (cf. Redemptoris Mater, 17). The night of faith. Yet only from that night do we see the dawn of the resurrection break forth. At the foot of the cross, Mary thought once more of the words that the angel had spoken about her Son: “He will be great… The Lord God will give him the throne of his father David, and he will reign over the house of Jacob forever, and of his kingdom, there will be no end” (Lk 1:32-33). On Golgotha, Mary faced the complete denial of that promise: her Son was dying on a cross like a criminal. In this way, triumphalism, destroyed by the abasement of Jesus, was likewise destroyed in the heart of his Mother. Both kept silent. Festive acclamations and brutal torture; the silence of Jesus throughout his Passion is profoundly impressive. He also overcomes the temptation to answer back, to act like a “superstar”. In moments of darkness and great tribulation, we need to keep silent, to find the courage not to speak, as long as our silence is meek and not full of anger. The meekness of silence will make us appear even weaker, more humble. Then the devil will take courage and come out into the open. We need to resist him in silence, “holding our position”, but with the same attitude as Jesus. He knows that the battle is between God and the prince of this world and that what is important is not putting our hand to the sword but remaining firm in faith. It is God’s hour. At the hour that God comes forth to fight, we have to let him take over. Our place of safety will be beneath the mantle of the holy Mother of God. As we wait for the Lord to come and calm the storm (cf. Mt 4:37-41), by our silent witness in prayer we give ourselves and others “an accounting for the hope that is within [us]” (1 Pet 3:15). 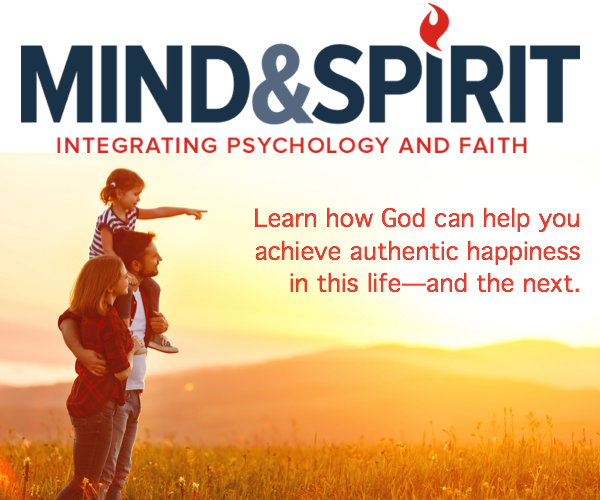 This will help us to live in the sacred tension between the memory of the promises made, the suffering present in the cross, and the hope of the resurrection.